When God is teaching me something, He often gives me opportunities at putting those new lessons in action. I had no idea that a lamp would provide such a lesson, but then again who knew a plunger could help either? 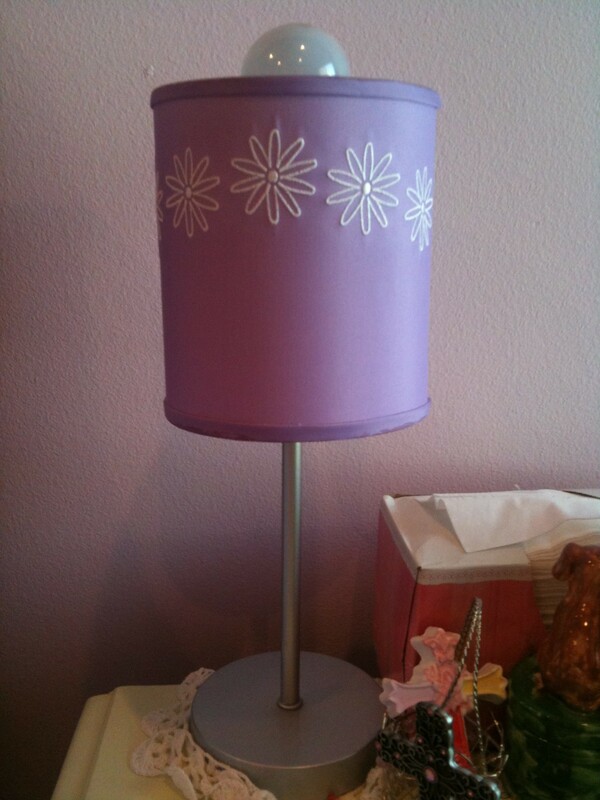 I recently purchased a lamp for my second blessing, L. Her bare nightstand begged for a lamp, both for utility and for cute-ness. So as I browsed through Target a few days ago, I discovered a cute, well priced lamp. I bought it with a bit of trepidation. 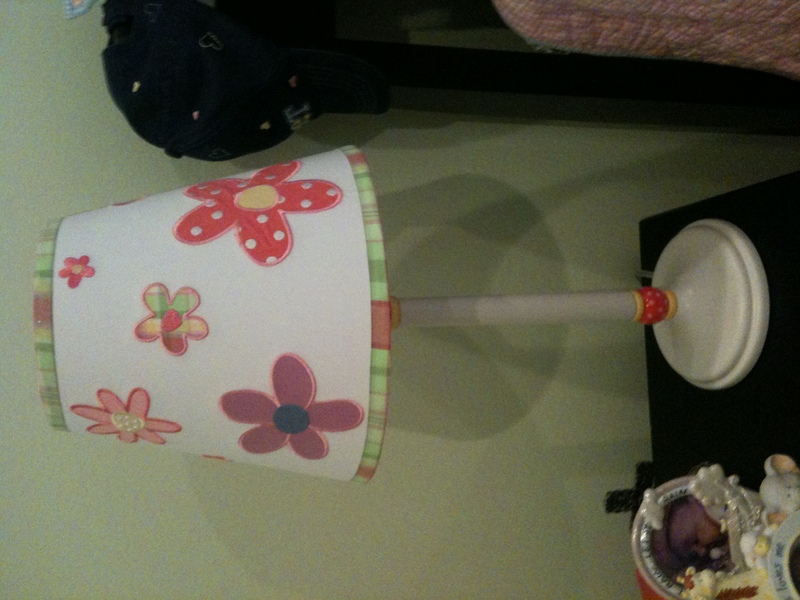 What if E, L’s older sister, likes it better than her current lamp? I decided it could be a learning experience. I learned that I needed a lesson too. it and deal. Once again, God’s heavenly hand landed firmly on my mouth. Instead, I took E to my room and we talked. She told me she no longer liked her lamp, L’s lamp is prettier. I prayed silently because I didn’t know what to say. My compassionate voice belied the frustration in my heart. I taught her better right? God told me, “yes daughter, as I have taught you. You compare, you wonder why not me, you say I don’t want this any more because what someone else has is better.” Suddenly I admitted my shortcomings to my sweet E. I told her how difficult life is when we compare. Instead of comparing, we need thankfulness. E admitted how hard it is to feel thankful when you like what some else has better. I prayed for her and gave her time to pray and ask God to help her. I described the consequence she would endure if she continued to fuss. She would lose her lamp. lose what we have. Once again God brought me face to face with myself. I often “if only,” or “it must be nice,” my joy for the day away. I get frustrated that something broke instead of being thankful I have it at all. Sometimes I convince myself being thankful for what I have is too difficult. I can’t do it. Can you see God looking at me thinking, “IT IS JUST A LAMP! BE THANKFUL FOR WHAT YOU HAVE!” I am thankful for His patience – thankful that His “kindness leads me to repentance.” (Romans 2:4b) God’s goal is not to leave me in my sin, but He desires I come closer to Him and more like Christ. So what did I learn? I learned first that patience and discussion, instead of the heavy-handed “deal with it” method leads myself and my children to change. I am not saying I will never spank again, but if it is God’s kindness that leads me to repentance, then my kindness will prayerfully bring my children into obedience and repentance as well. That doesn’t mean there are not consequences, it just means when I lay down the law, I do it with kindness and grace. Secondly I once again learned that comparison is not my friend. It robs me of joy, it holds me in bitterness, and leaves me bereft. How about you? Did the lamp lesson turn any lights on? Leave a comment and let me know what you think. This entry was posted in Uncategorized and tagged battle, Christ, Comparison, Faith, God, Jesus, Spiritual Growth, spirituality. Bookmark the permalink. The eyes of man, or in this case little girls, is never satisfied. It is a lesson that I continually have to learn. Praise God that He is so loving and gracious!!! This is a great story…so true! I wandered onto your blog looking for believers willing to discuss ivf. My husband and I have had 2 failed IUIs and we’re praying about whether to take more extreme measures or sit back and wait for the Lord’s timing. I truly appreciate your willingness to share your heart and journey.